Find hotel near Indosan Nippon Japanese T ..
Indosan Nippon Japanese Temple is the only Japanese temple in India. Built in 1972 by the Japan Government, it was carved out of wood and looks like a Japanese shrine. It is an excellent example of Japanese architecture in the country, where monks teach Buddhist preaching to the temple visitors. The temple also has several Japanese paintings on display, depicting Lord Buddha’s life. It truly showcases the deep-rooted culture of the country and the religion. Love this? 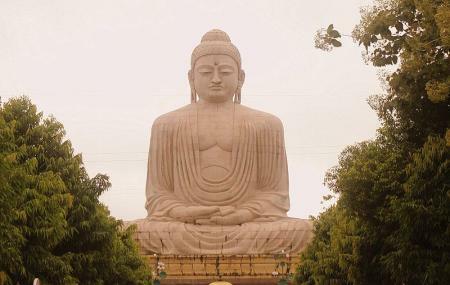 Explore the entire list of places to visit in Bodhgaya before you plan your trip. Fancy a good night's sleep after a tiring day? Check out where to stay in Bodhgaya and book an accommodation of your choice. How popular is Indosan Nippon Japanese Temple? People normally club together Thai Monastery and Royal Bhutan Monastery while planning their visit to Indosan Nippon Japanese Temple.